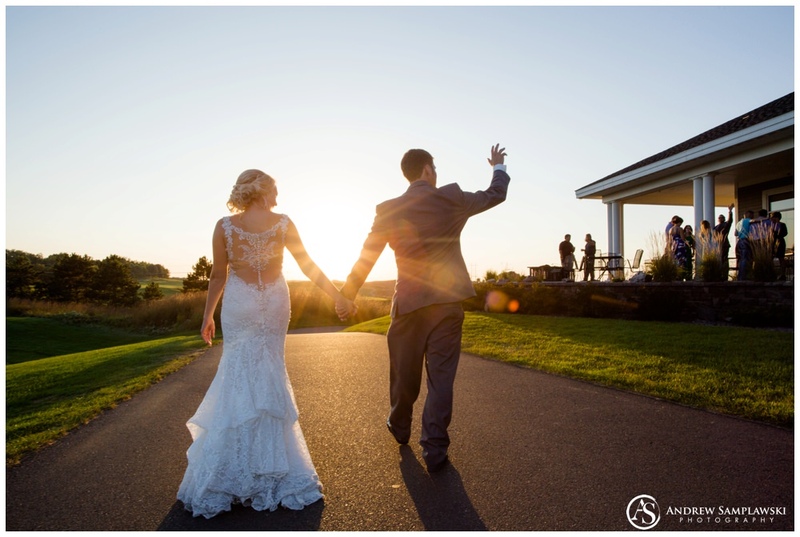 Ashley and Brandon were married on September 15, 2018 with a ceremony at Immaculate Conception Lutheran Church and a reception at Wild Ridge Golf Course and Event Center. 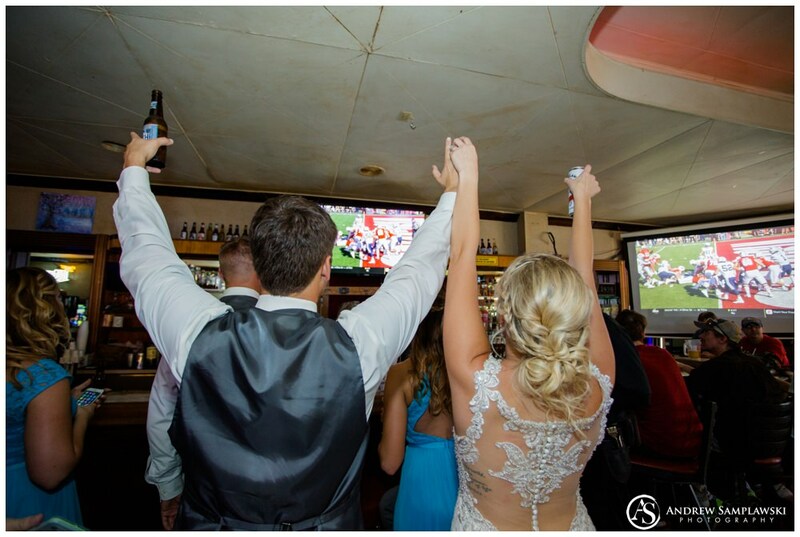 This was such a memorable wedding, for so many reasons. 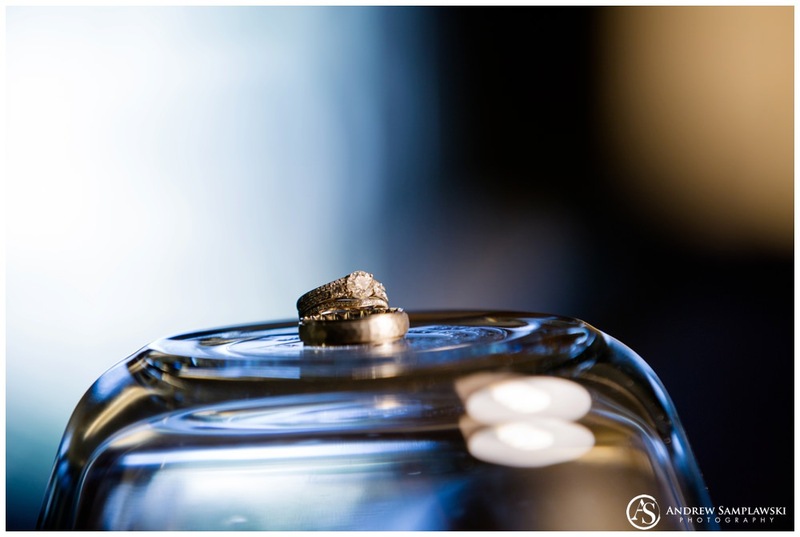 I was really happy to be their wedding photographer, and I am really psyched to share their wedding photos on the blog today. 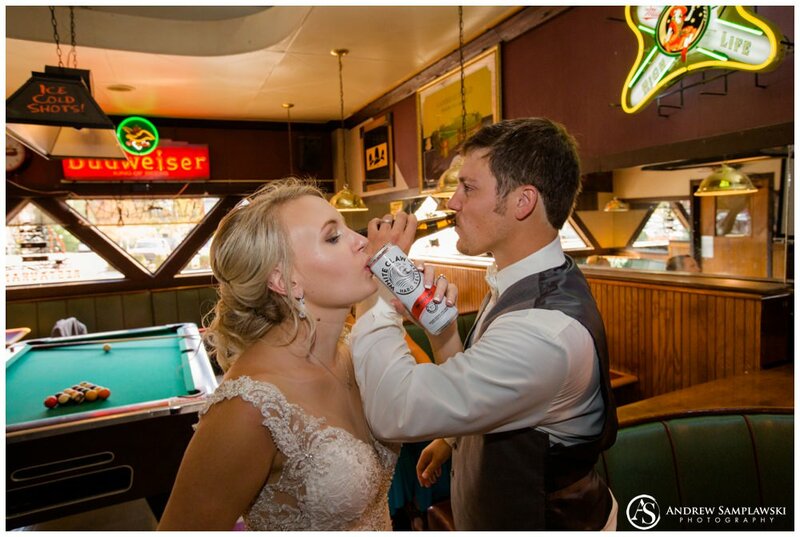 These two are a quintessential Wisconsin couple. They got engaged ON the field at Lambeau Field. 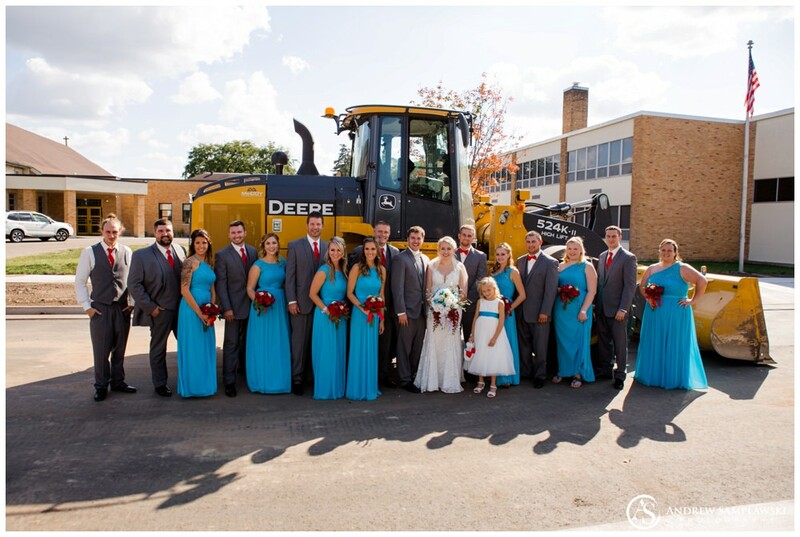 So, obviously, they carried that Green Bay Packer theme into their wedding, too. They had Green Bay Packers tickets right on their wedding invitations. 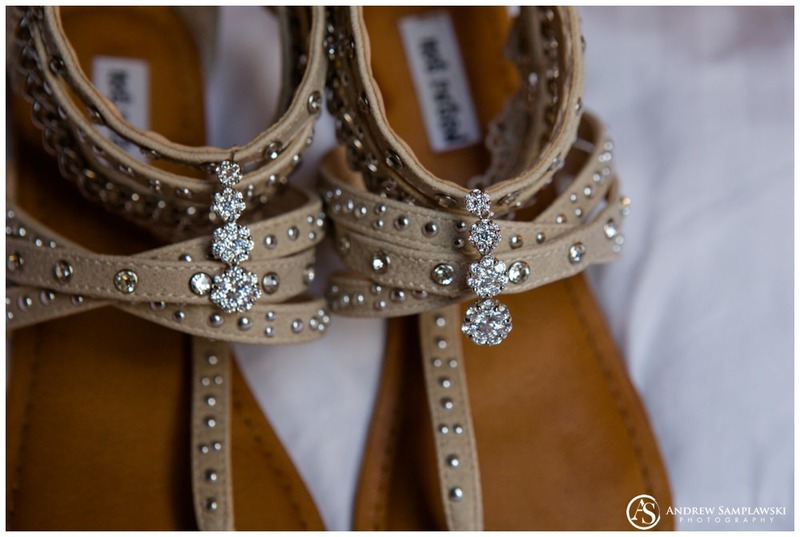 So, when game day arrived, my second shooter, Jeff, and I headed over to the Stay Bridge Hotel in Eau Claire to photograph the detail shots of the dress, shoes, rings and flowers. We were greeted by Ashley and the girls. 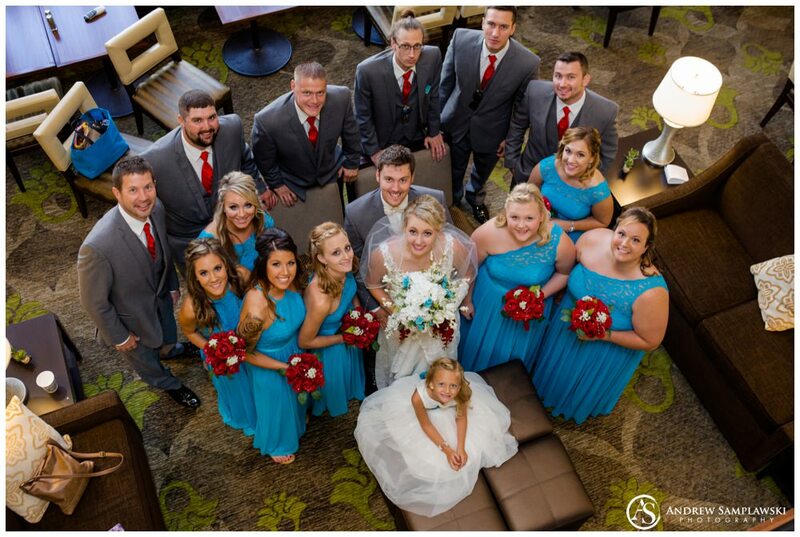 The ladies had matching robes, so we did some pictures including the flower girl, Shelby. The ladies were laughing and having fun and then one thing led to another and they broke out into a super fun pillow fight. 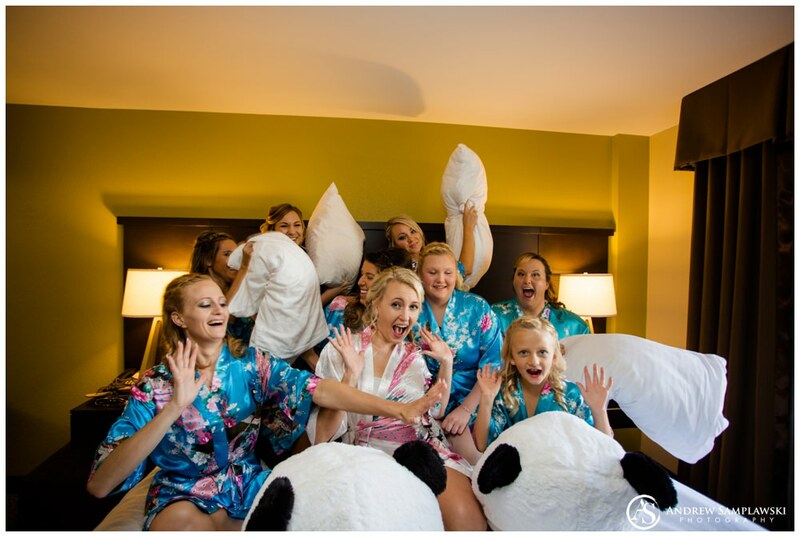 Also, you might see on the beds that there were these two giant panda heads… Those ended up showing up for something fun later! The guys were getting ready in another room on another floor. 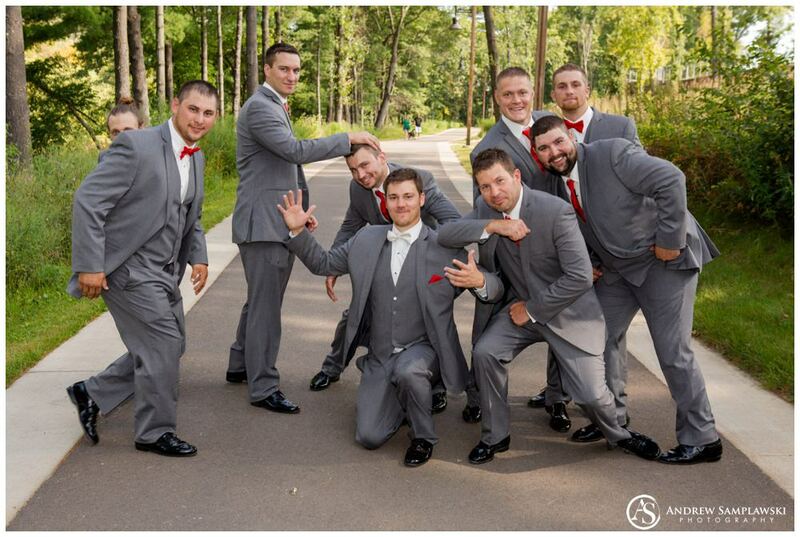 Jeff snuck away with the guys for groomsmen pictures and candid moments. I stayed with Ashley for her final moments getting into her gown. 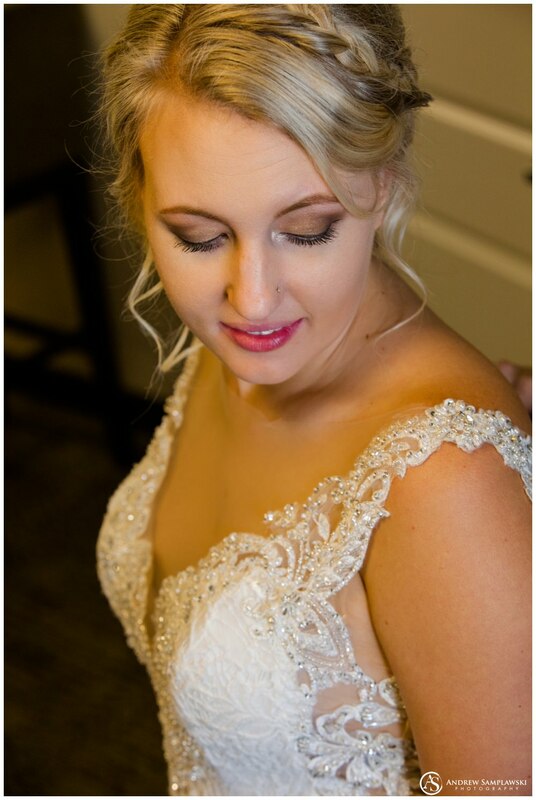 She was simply stunning in her gown and veil. 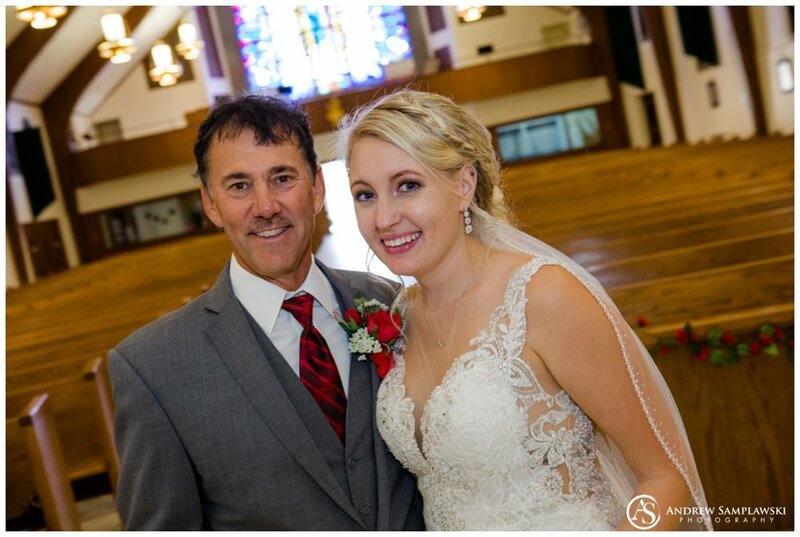 We created a first look moment for Ashley and her dad, Stewart. 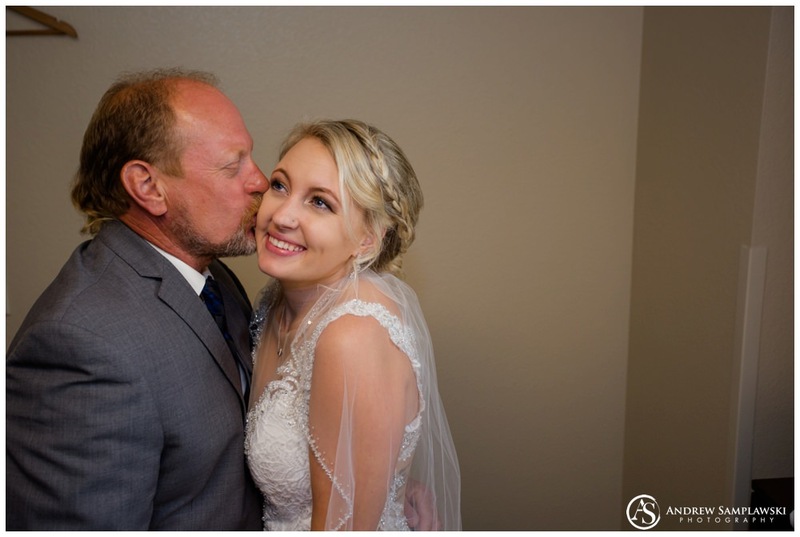 I love father daughter first looks because they are filled with so many sweet and genuine emotions. This one was no different. Stewart’s smile was so filled with love and pride for his little girl. After that, we got Brandon ready to see Ashley in their very own first look. 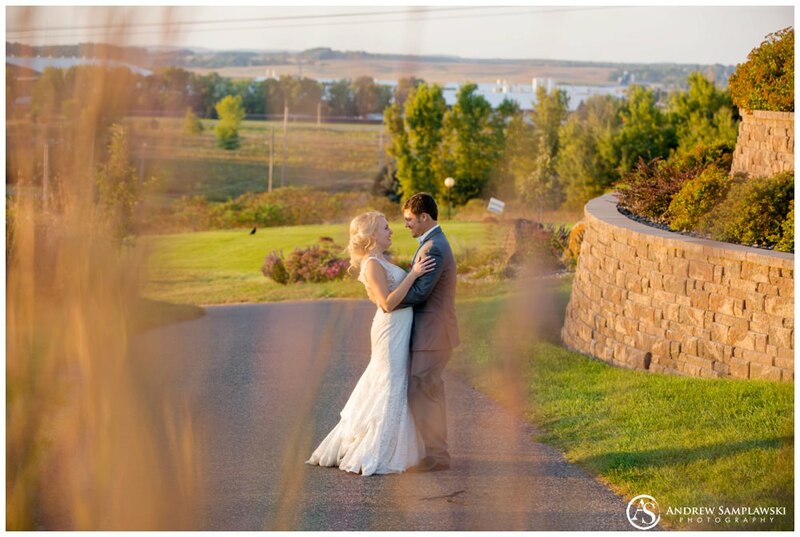 River Prairie Park was just next door to the hotel, making it a perfect location for their first look and wedding portraits. During our walk over, Brandon noticed a beautiful bush blooming with lovely flowers. He reached over and plucked a flower from the bush. 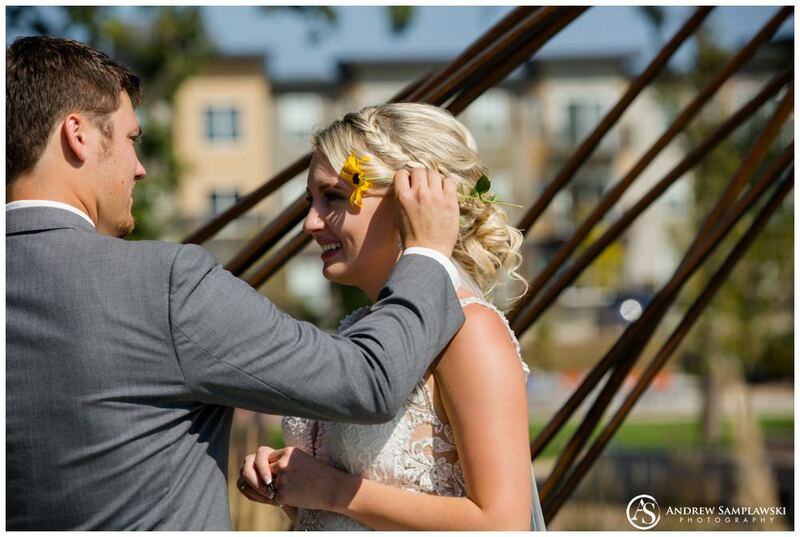 And then during the first look, after he spun Ashley around and gently kissed her… he gently placed that flower into her hair, over her ear. 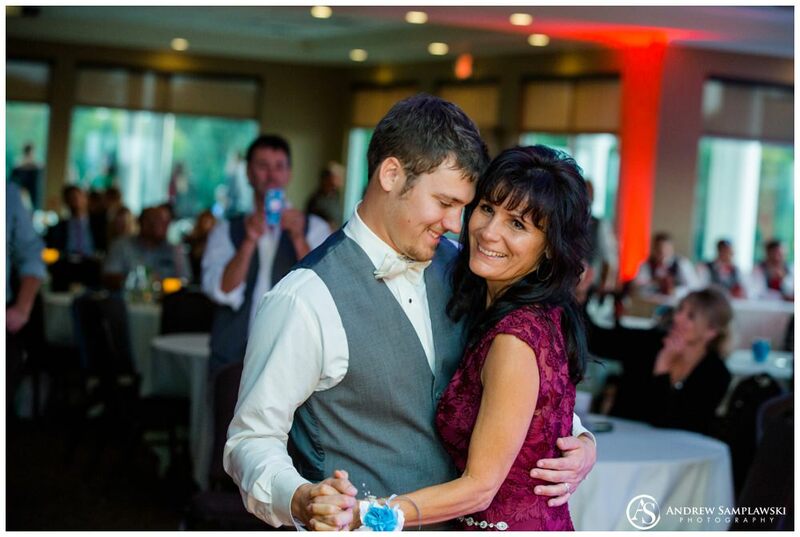 It was such a tender, unexpected moment that showcased his huge heart and awesome soul. 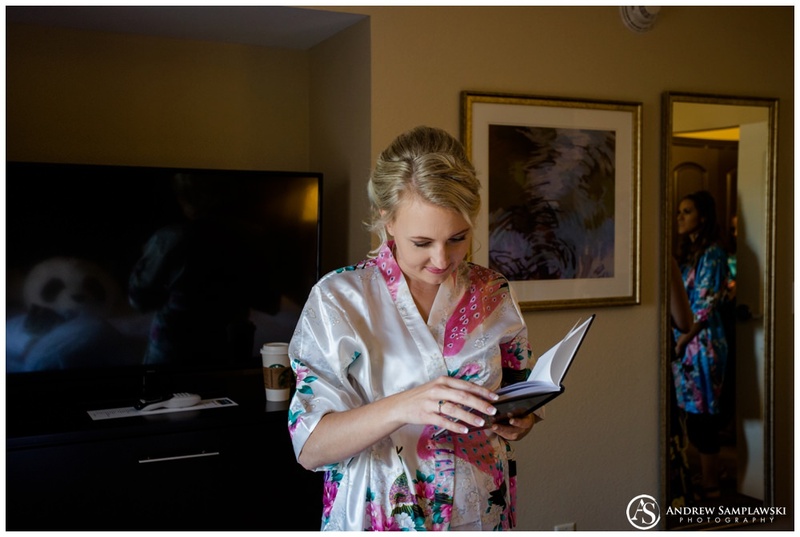 Brandon even created a book of “Reasons why I love you and Chose you to marry: a book of my lively wife on our wedding day.” It was really sweet how much they love each other. 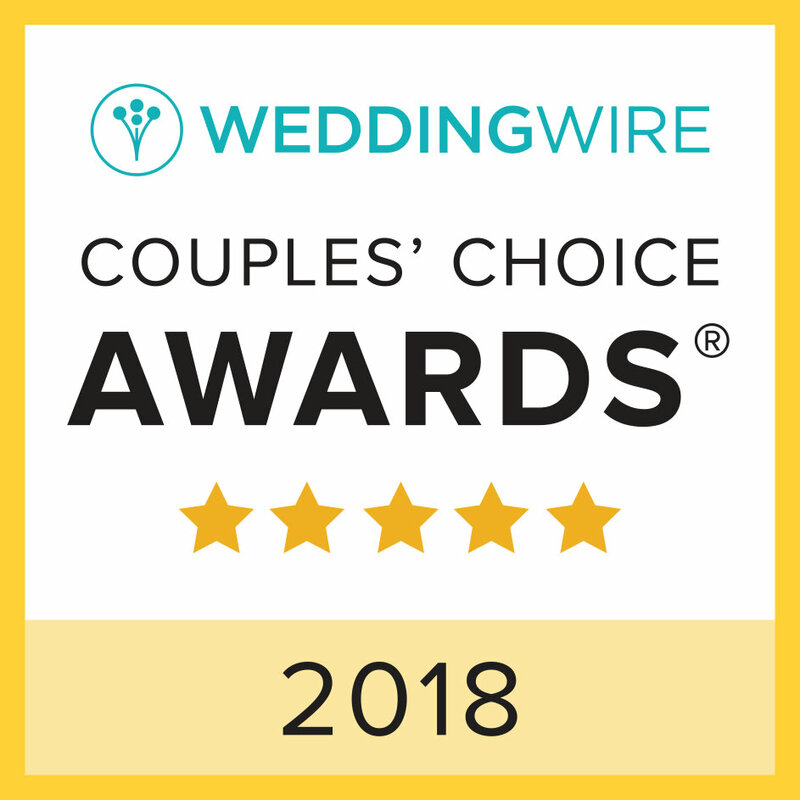 These two lovebirds wandered around the park holding hands, chatting together, and spending some quiet time alone ahead of the exciting day still to come. After some time, we met back in the lobby area of the hotel to get onto the limo bus by Knight Rider Limousine. 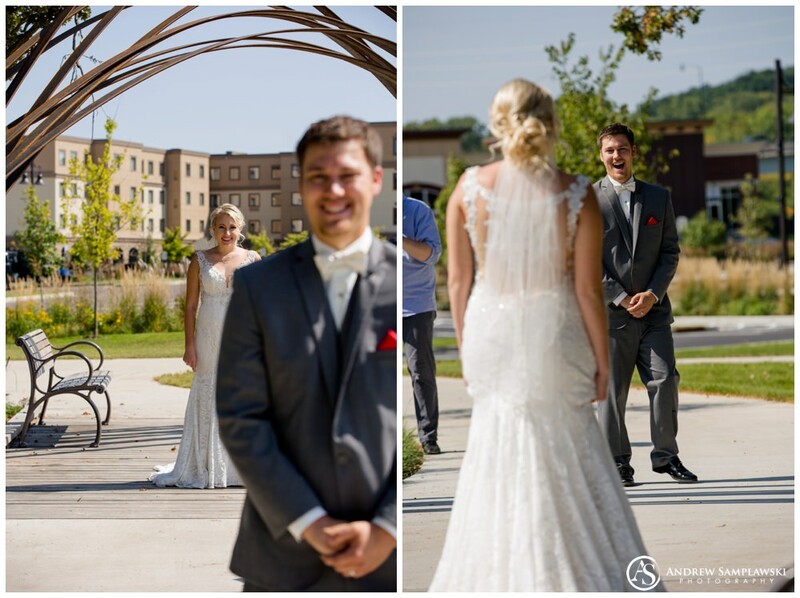 We headed to Immaculate Conception Lutheran Church in Eau Claire for the ceremony. 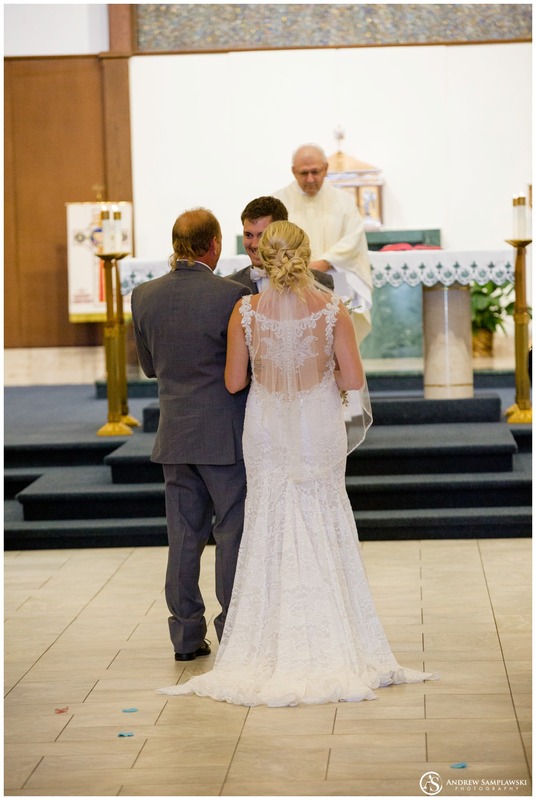 Ashley was escorted in by her father and she looked just as amazing in her grand entrance, walking down the aisle. 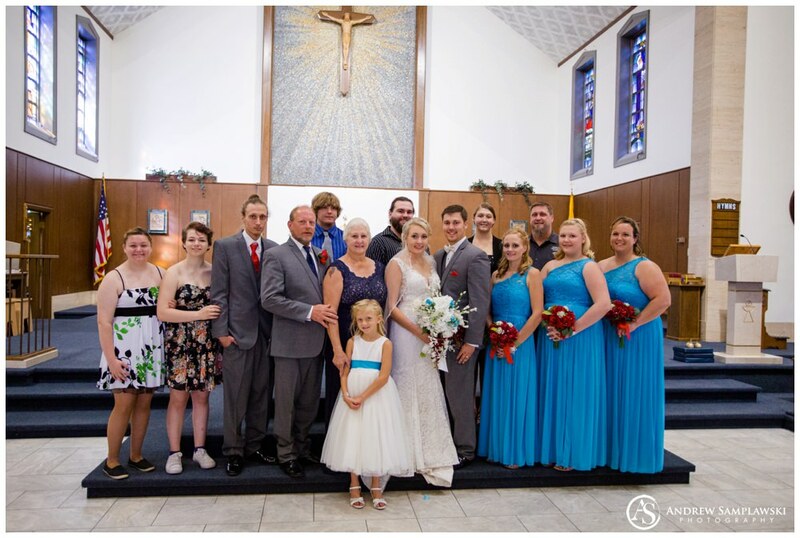 Ceremony took place, they exchanged vows, and in a nice touch, they gave flowers to their grandparents and family in thanks. 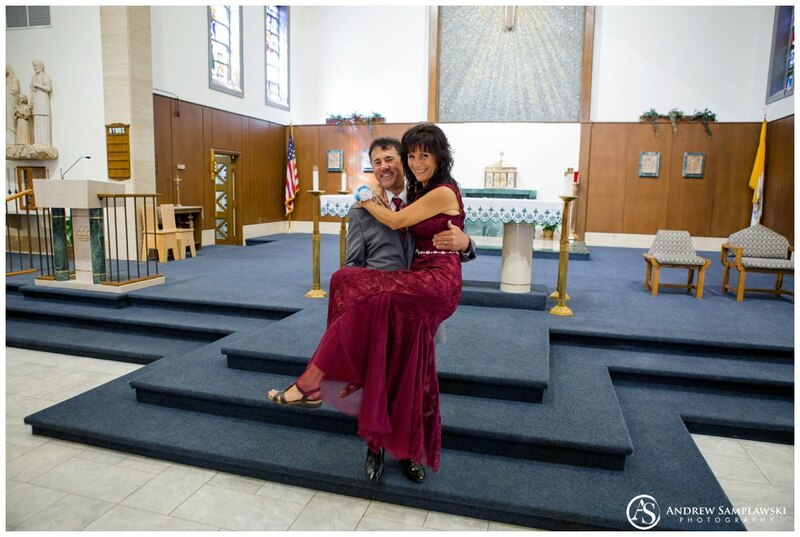 They were then pronounced man and wife to the joy and celebration of the congregation. Some of my favorite photographs of this ceremony were the in the moment candid photos of Ashley’s grandparents who were wheelchair bound. 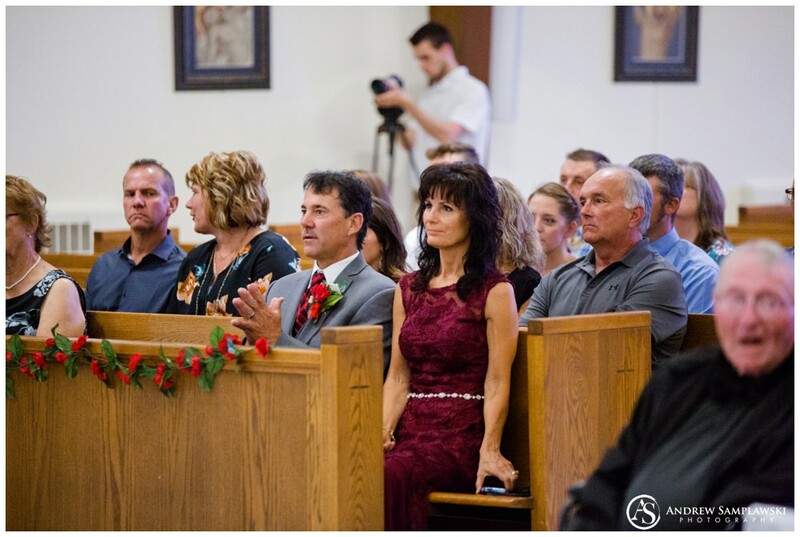 Grandparents are amazing, beautiful people who guide and pave the path for their families to grow into beautiful humans, so any time I have a chance to honor them in wedding photography, I love to do so. 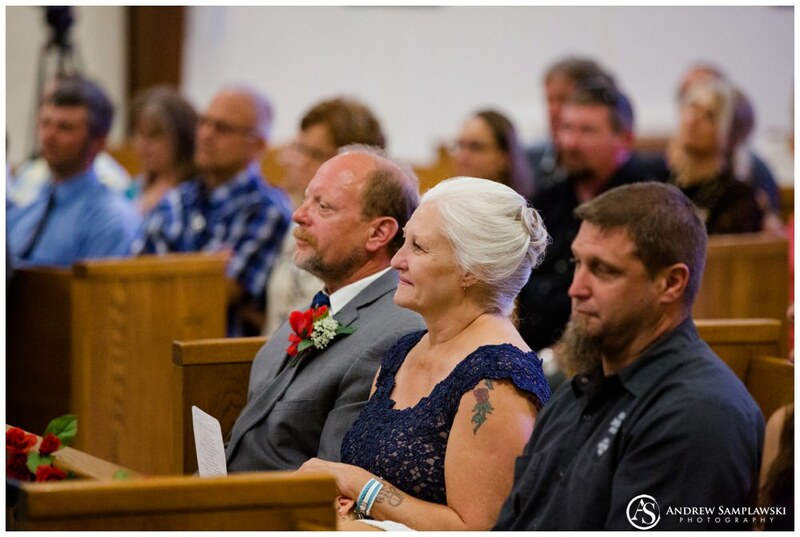 It’s so nice when grandparents are still around for a wedding, so I was happy to get these photographs of her grandparents so they can enjoy these images for years to come. 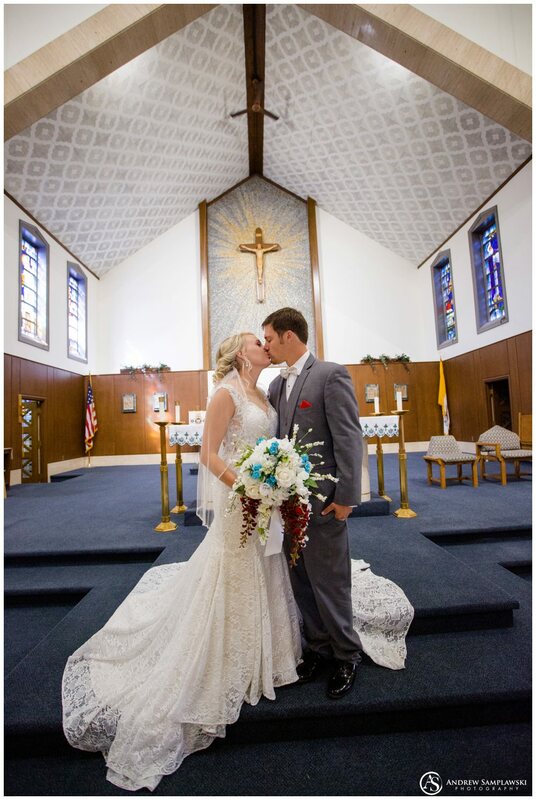 After the ceremony, I stayed with Ashley and Brandon to take some formal portraits in the church. 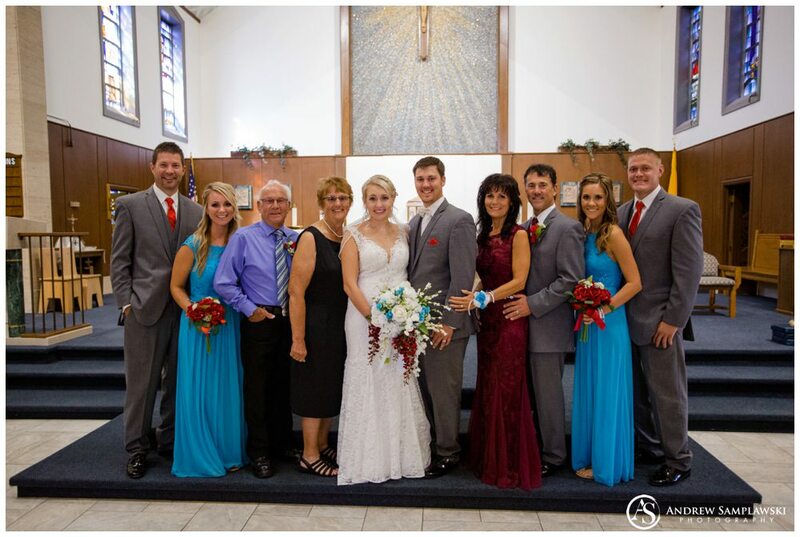 We did some pictures of the Bride and groom at the altar and with family. The church had this really cool stained glass window up in the balcony behind the organ. 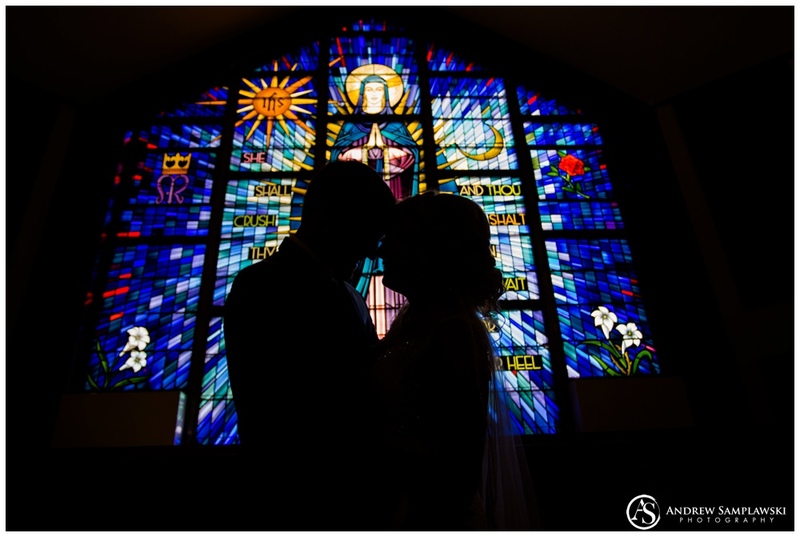 The light was just right that we could get some amazing pictures by the window in silhouette, letting them be a part of the artwork. Brandon’s family owns a construction company. 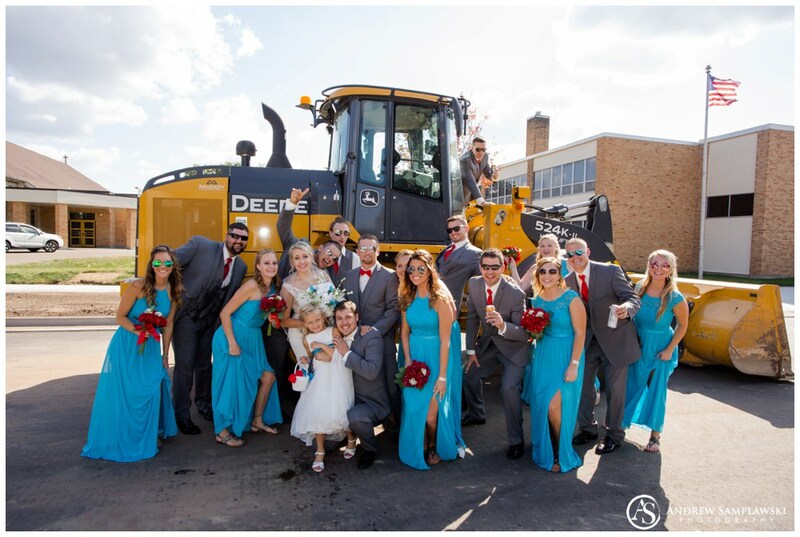 It’s an important part of their lives, so we wanted to make sure we recognized that by including some construction equipment in their wedding photos! They had their equipment behind the church, ready for pictures! After the pictures, everyone got back on the bus and headed over to Wig Wam Tavern, a local Eau Claire bar. Brandon and Ashley frequent the Wig Wam when they are in town. 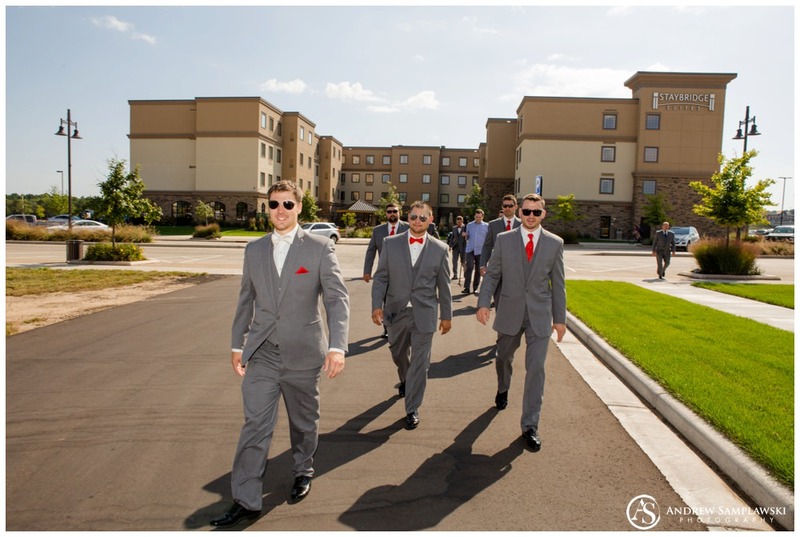 It was fun to be able to photograph the bridal party in a more urban setting. 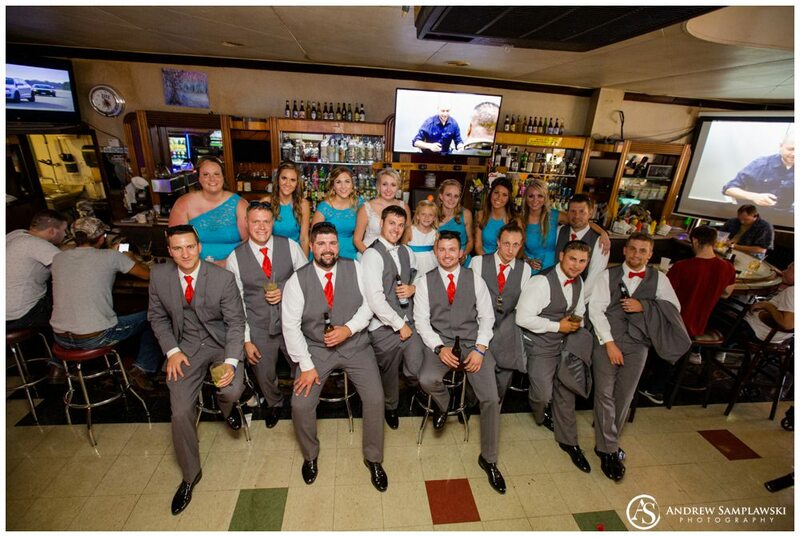 Everyone enjoyed some time together and some drinks, and we took group photos together with friends and family. 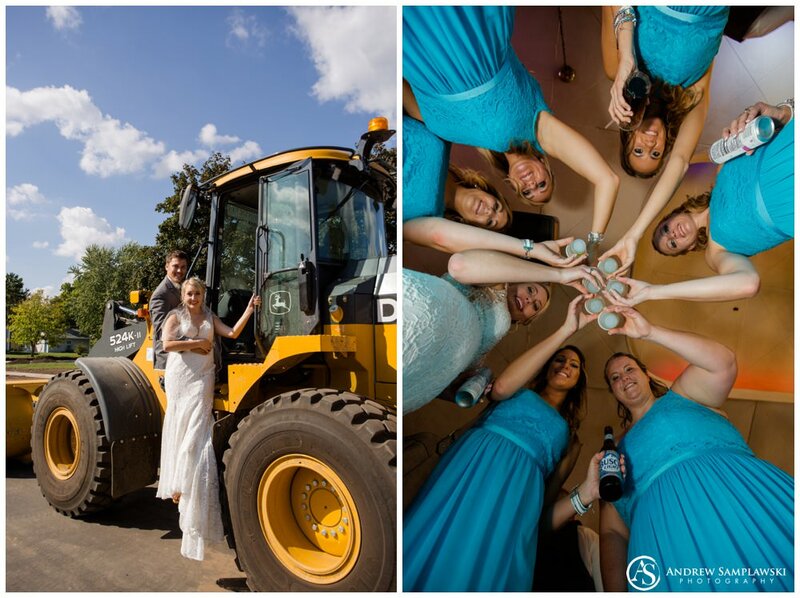 Phoenix Park was nearby and we did some cool wedding party pictures with the couple. 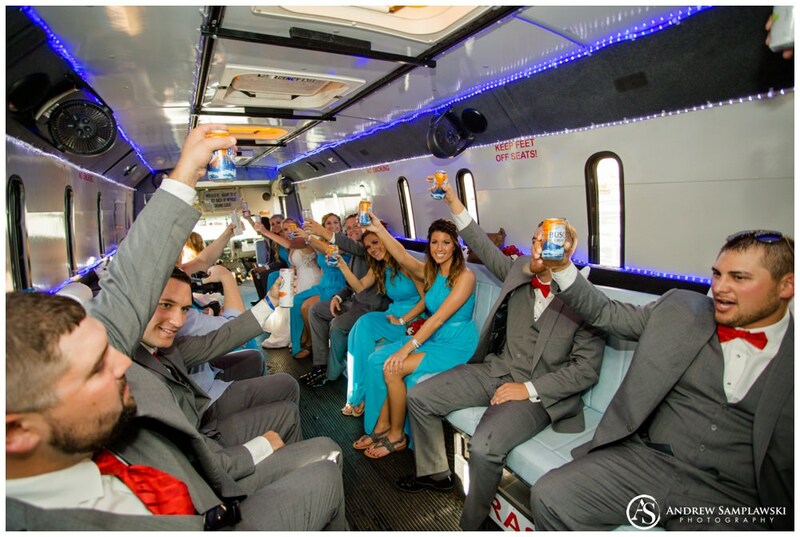 Then, we jumped back on the limo bus to head to the reception. We arrived for their reception at Wild Ridge Golf Course and Event Center and we were greeted by their master of ceremonies, Dave Deville of Dave Deville Entertainment. 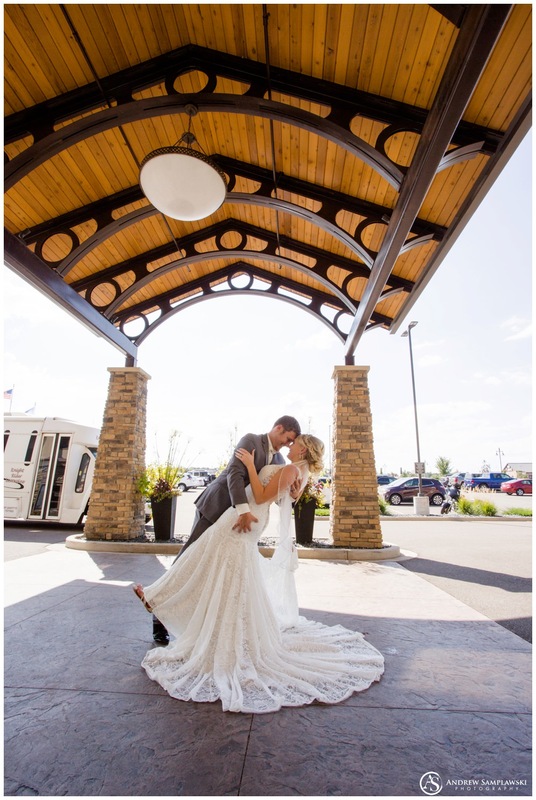 He was able to hop onto the bus for some fun instructions ahead of their introduction. 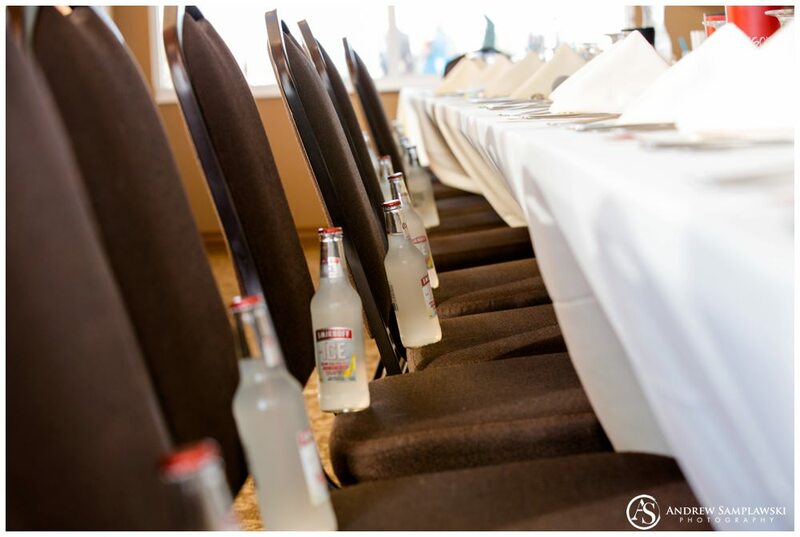 I was advised that bride and groom were going to ICE their wedding party. 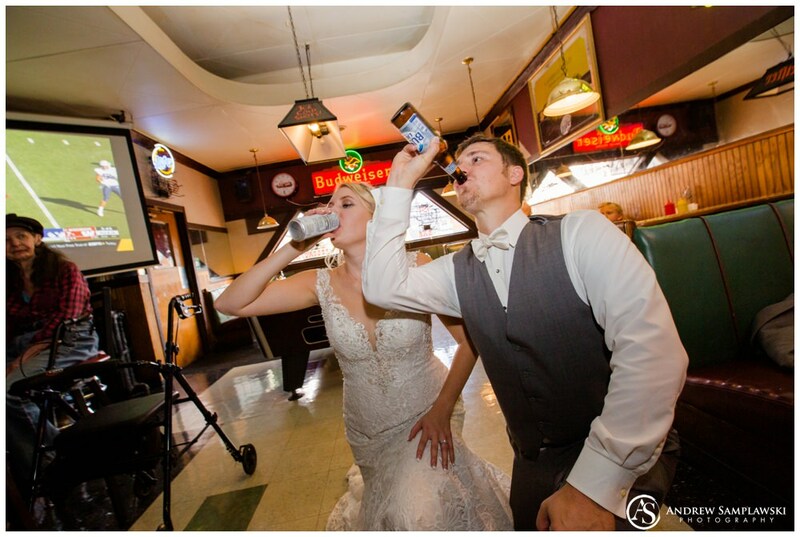 Meaning—if you get ICED, you have to chug a Smirnoff Ice. SO! 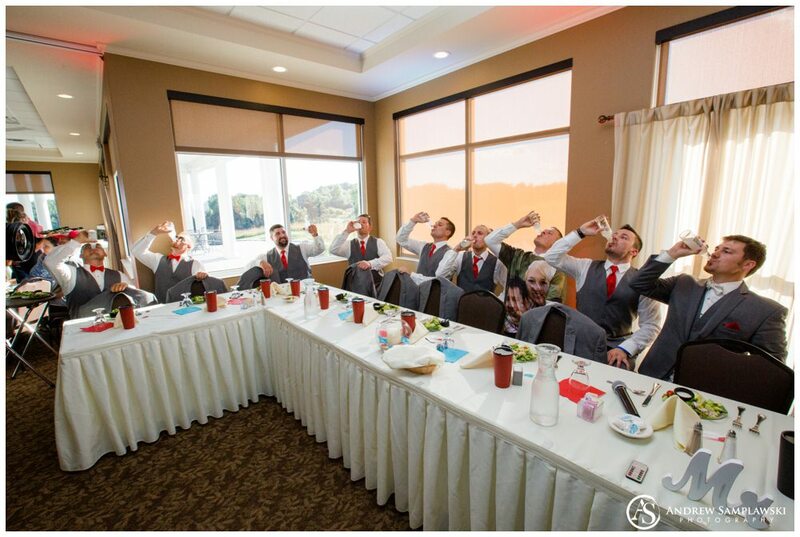 Every single member of the wedding party had a bottle of Smirnoff Ice to chug after their big entrance. 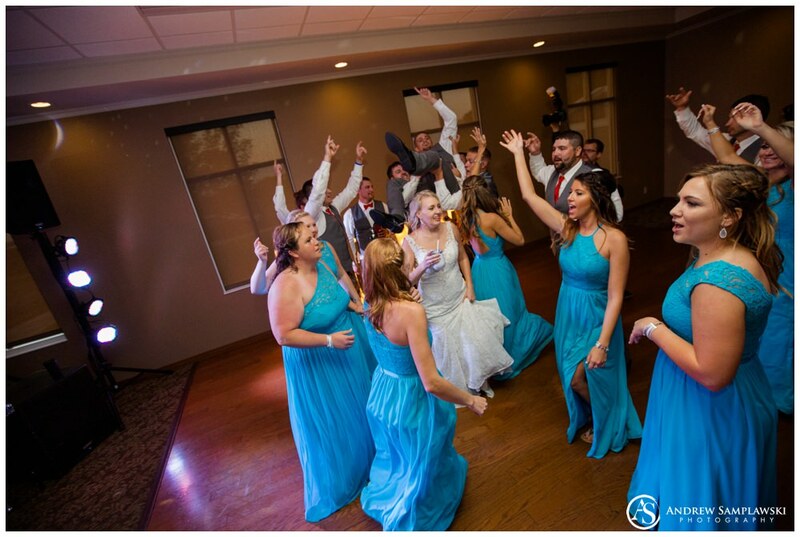 Each of the wedding party couples were introduced with their own song and their own moment in the spotlight. And they did not disappoint! 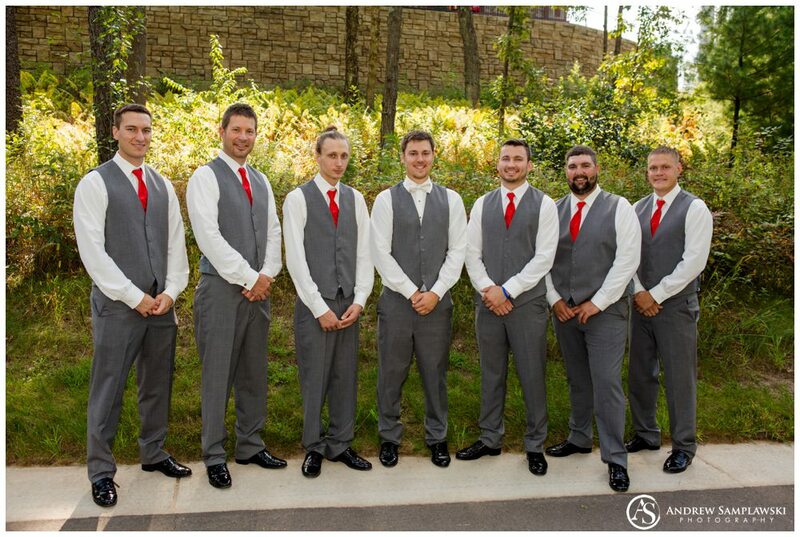 This bridal party was such a blast. 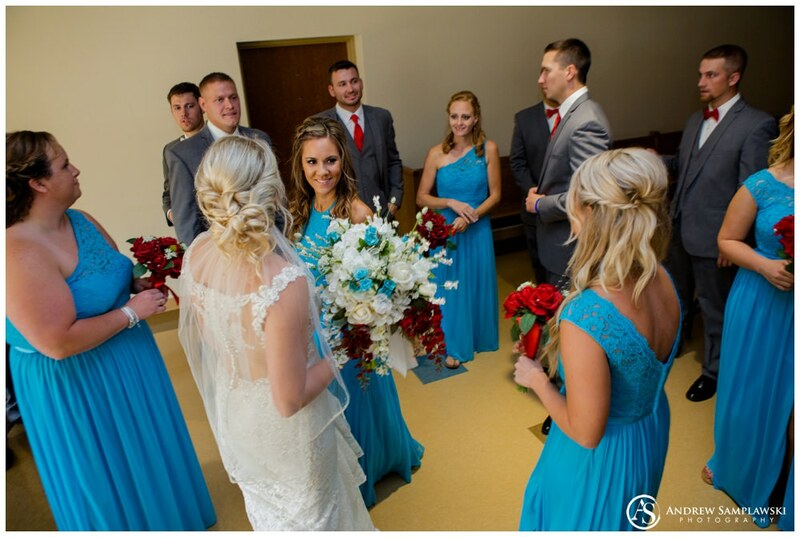 Tiffany and Jason danced in with custom T-shirts they’d had printed with pictures of the bride and groom. 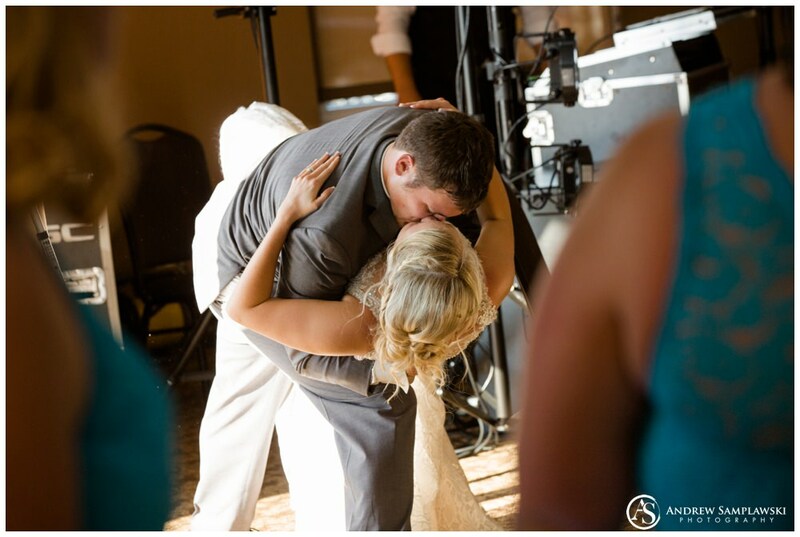 Chanda and Jared danced in to the “Panda Song” wearing those Panda Heads that I saw before… Those Panda heads ended up being passed around the wedding for the rest of the night! 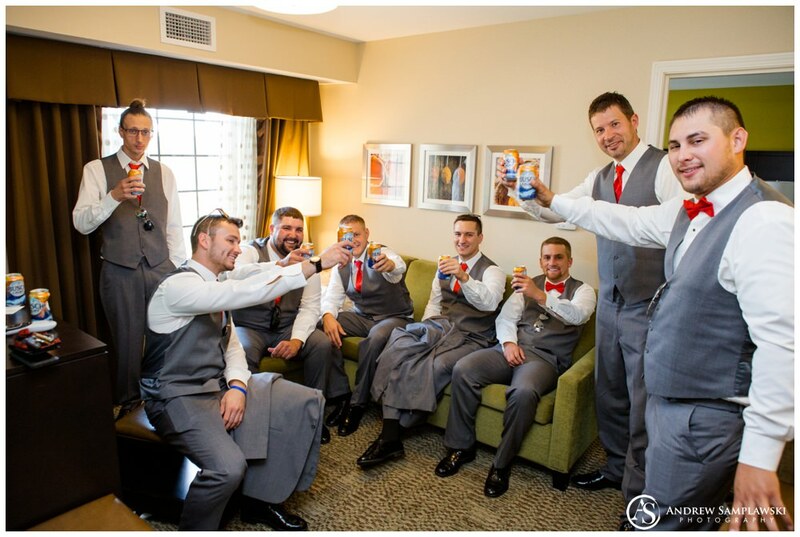 After the wedding party got iced, they kicked right onto speeches. 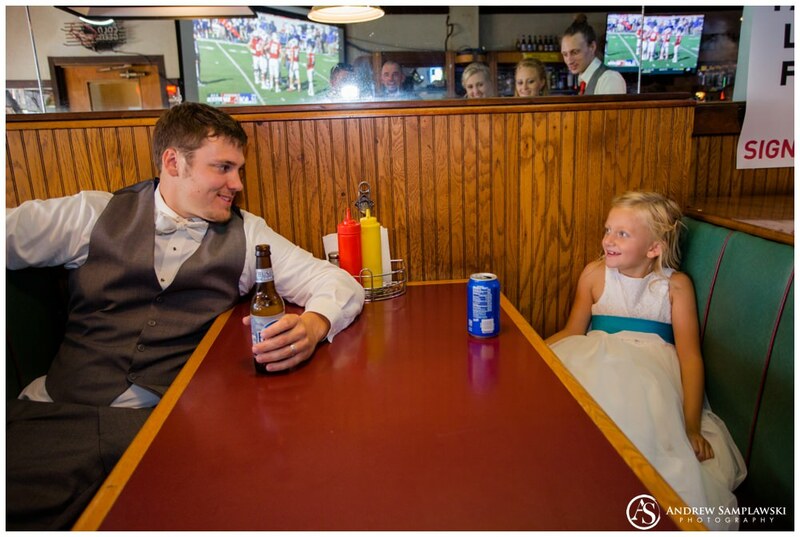 Getting those speeches done early on was important to Ashley and Brandon. Brandon had a really cool relationship with his father, Daryl. They were really like best buds; hanging out and working together as father and son. It was awesome to see the relationship these two shared. During dinner, they had mini golf set up for kisses. 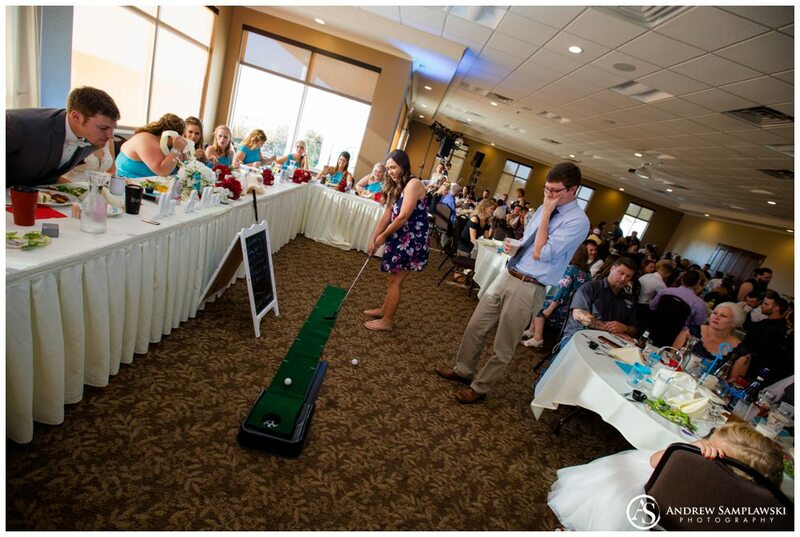 If you hit the ball in the hole, the bride and groom kissed. But if they missed the shot, the golfer needed to kiss someone! 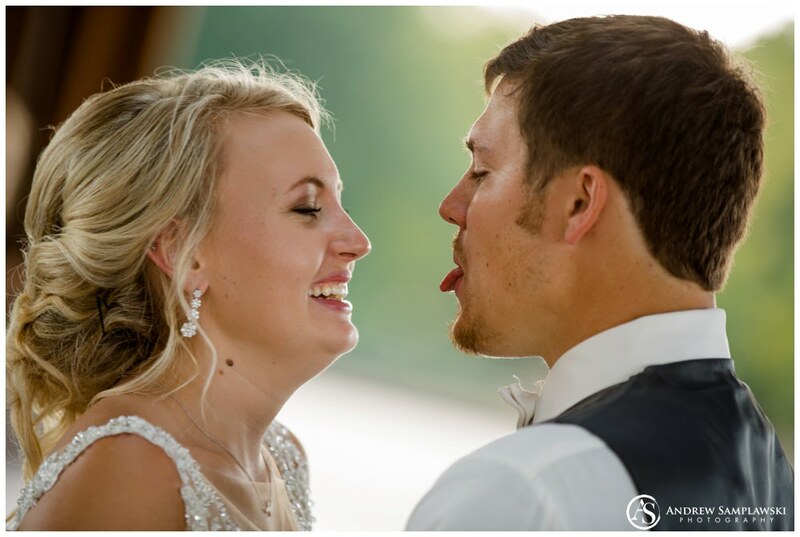 It was another fun way that Ashley and Brandon interacted with their guests at the party. 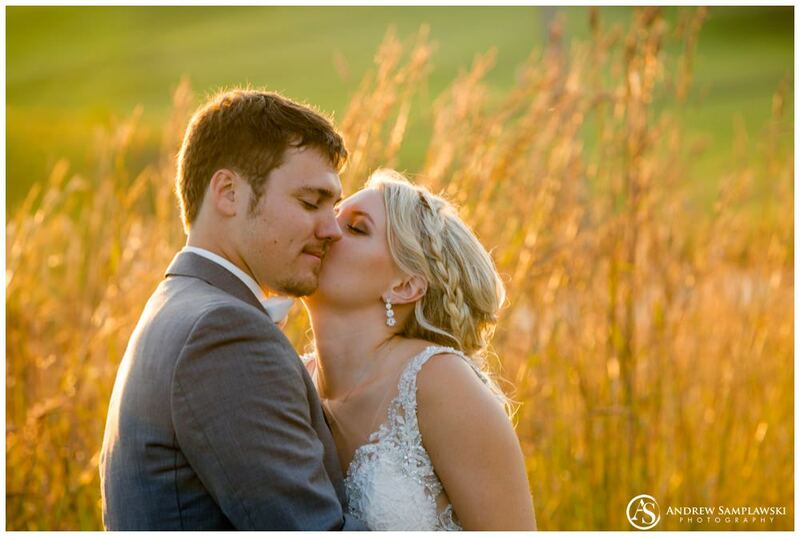 As the sun set, I stole the bride and groom to go outside to enjoy golden hour out on the golf course. 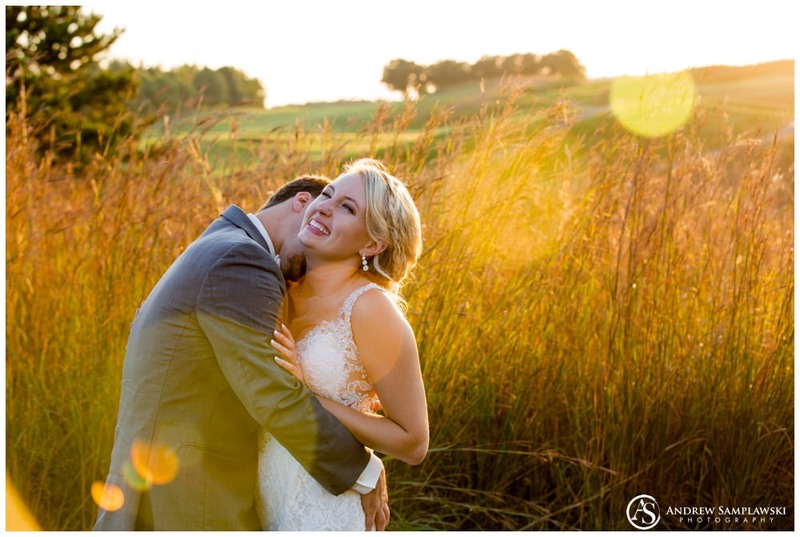 We hit the golf path and together took some stunning images of these two enjoying their first sunset as husband and wife. 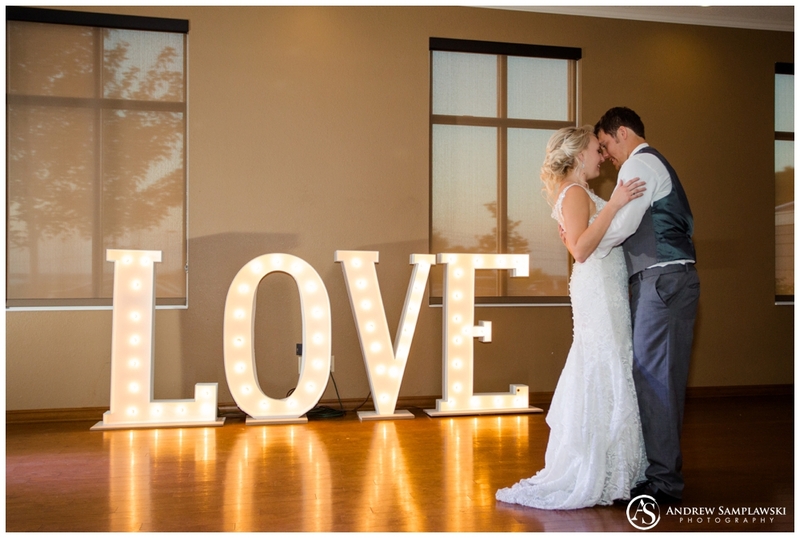 The light was beautiful, their smiles were genuine, and as a wedding photographer, I really couldn’t ask for anything more. 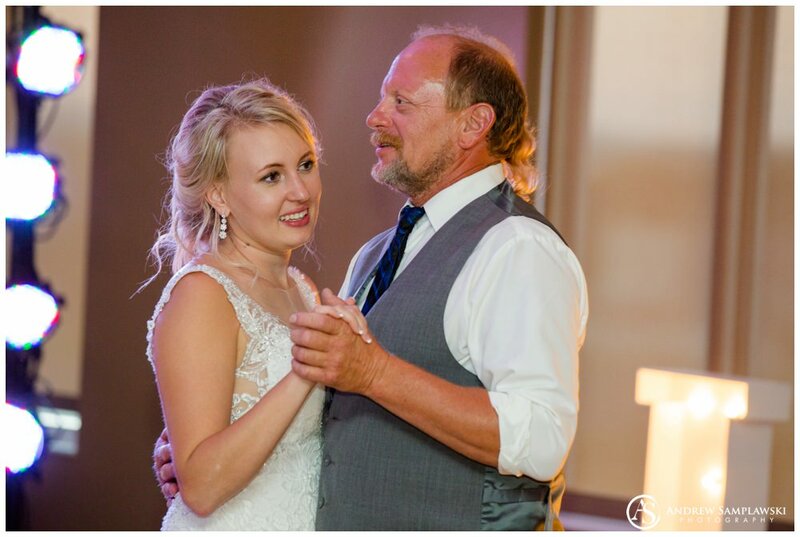 We kicked off the dancing portion of the evening first with Ashley and Brandon’s first dance, followed by Ashley dancing with her father and Brandon dancing with his mother. 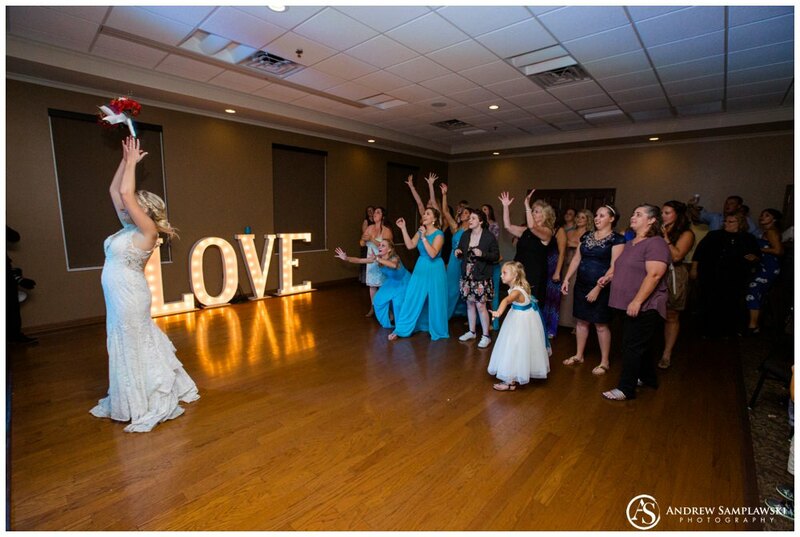 And, from that moment on, that dance floor was jam packed. 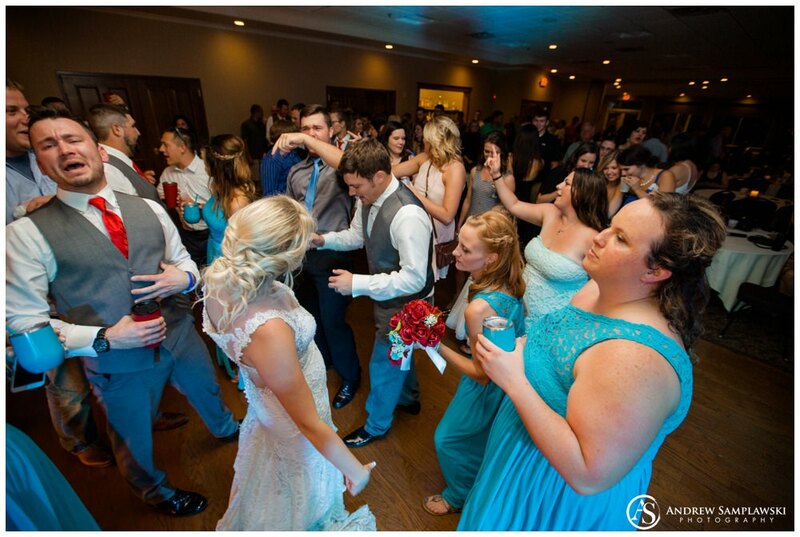 Later in the evening, they did this really cool thing on the dance floor called the “Mannequin Challenge.” Ashley and Brandon got everyone out on the dance floor and FROZE everyone. The music was going but the whole dance floor was just FROZEN in place. The videographer and I just cruised around, taking pictures of everyone. 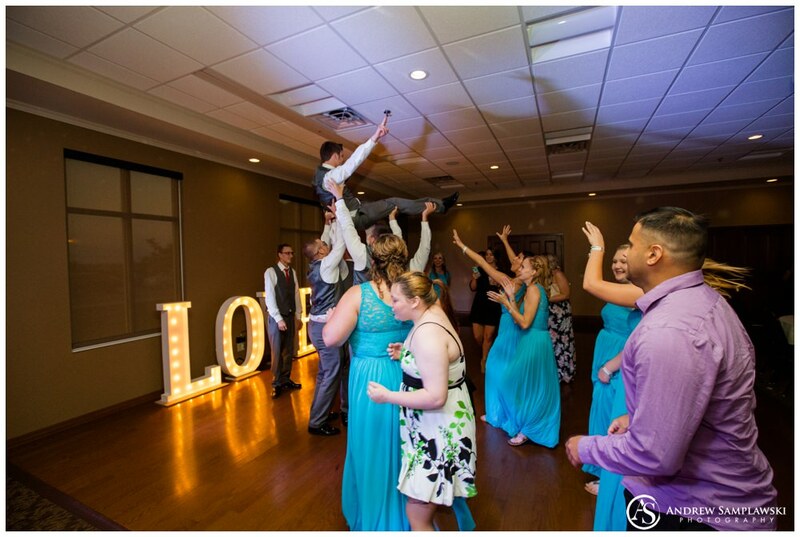 It was surreal, having everyone out on the dance floor frozen in place like that! 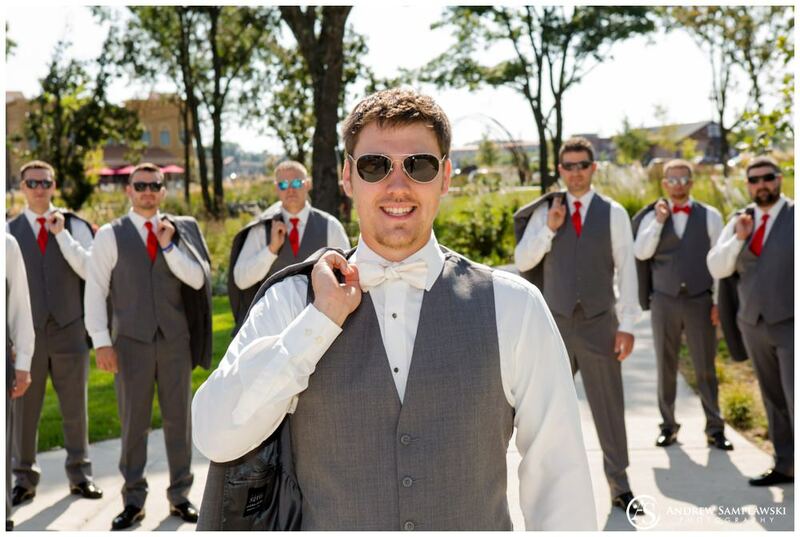 The pictures and video we captured will be fun for the bride and groom to look back on to remember this cool moment they created! 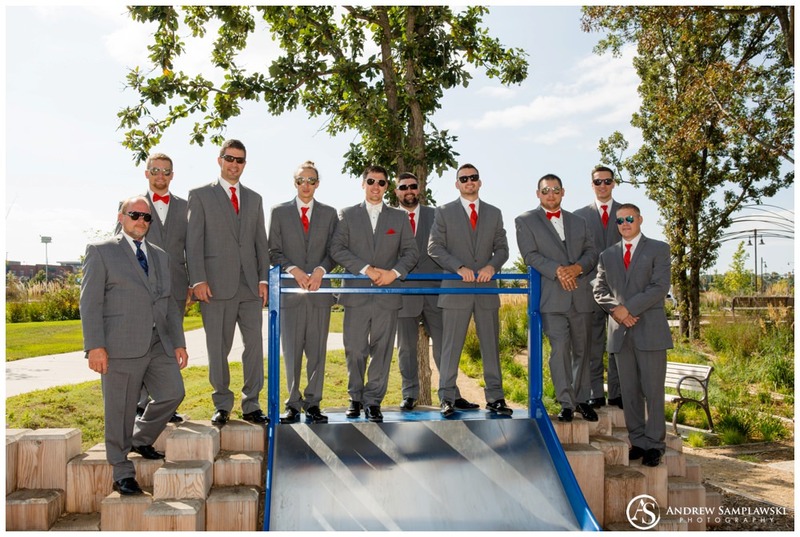 I have to say, this was a very memorable wedding day. It was a great sunset, a great venue, and a lot of real, authentic true emotions. 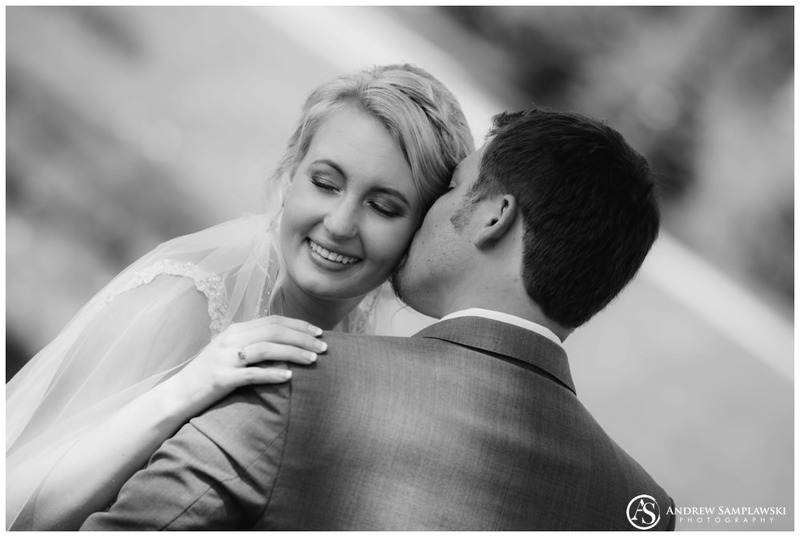 Being able to be a part of this wedding and to create something special with the wedding photography for Ashley and Brandon was really awesome. 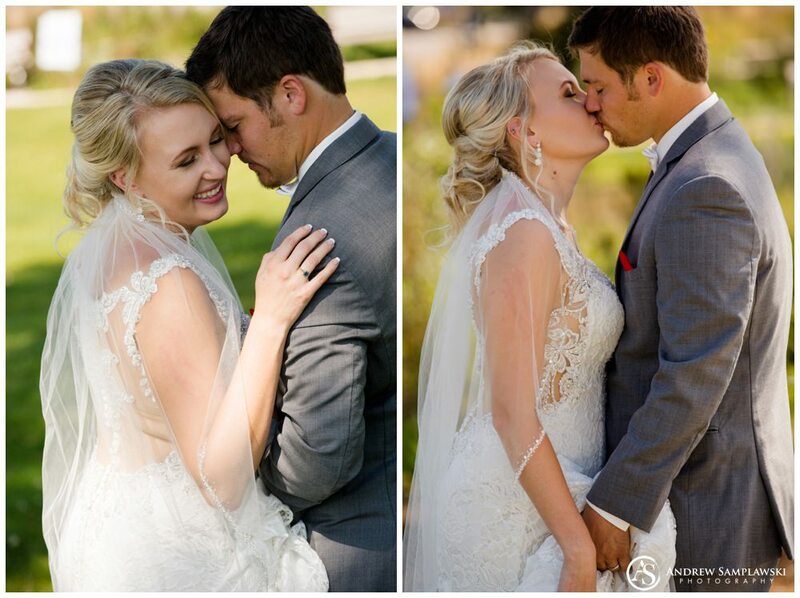 I can’t thank them enough for asking me to be their wedding photographer and to be a part of their special day. Thanks so much, you guys.